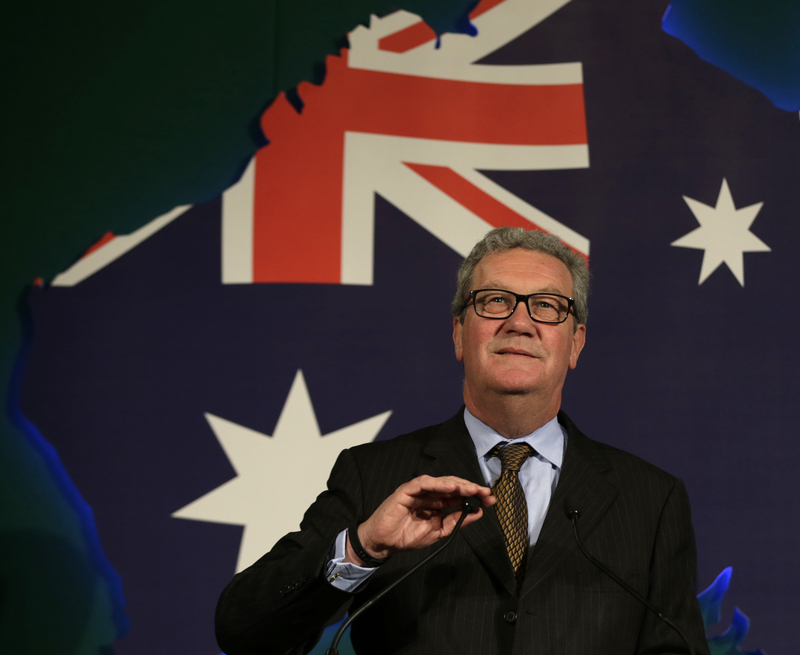 This June 22, 2015, file photo shows Australian High Commissioner Alexander Downer, left, speaking to guests during a welcome party at the Australian High Commission in London. Trump campaign adviser George Papadopoulos told the diplomat, Downer, during a meeting in London in May 2016 that Russia had thousands of emails that would embarrass Democratic candidate Hillary Clinton, the report said. Australia passed the information on to the FBI after the Democratic emails were leaked, according to The New York Times, which cited four current and former U.S. and foreign officials with direct knowledge of the Australians’ role.